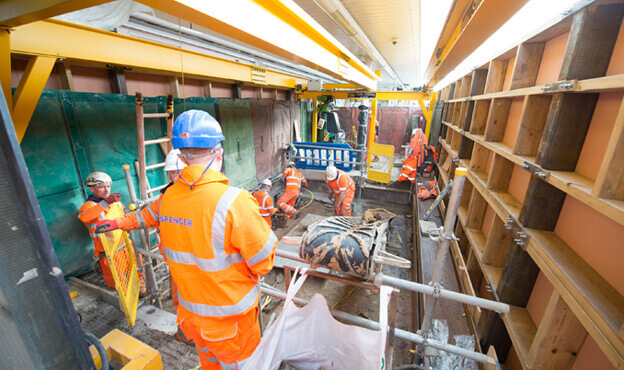 Design and build contract with London Underground to complete the Finsbury Park Phase 2B works, following the successful completion of the Finsbury Park enabling works project in December 2014. 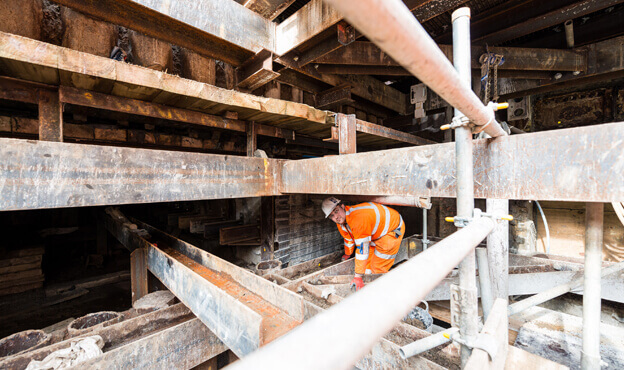 This highly complex project will ensure that the Victoria and Piccadilly lines achieve step-free access at Finsbury Park in 2018. The works at Finsbury Park consist of the building of two lift shafts alongside opening up and extending the existing but disused passageway 4, constructing an extension beneath the railway lines to link the new ground level entrance to the west of the station, creating new stairs and lobby areas coming off the new and existing passageway 4 and linking these to existing underground northbound and southbound platforms, and finally constructing a new staircase and refurbishing an existing staircase which will connect passageway 4 to the existing passageway 3 to improve connectivity to the Network Rail area. 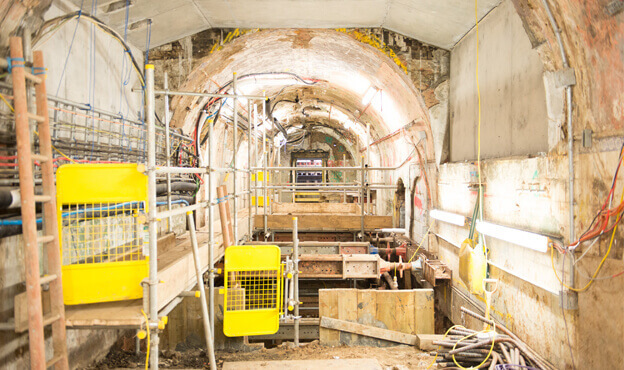 The result of the works undertaken have enabled step free access from both sides of the station, from the surrounding street level to the existing London Underground Victoria and Piccadilly line platform tunnels. With Finsbury Park being one of London’s oldest stations (opened in 1861) there has been no access for wheelchairs, prams or buggies. The redeveloped station will improve life for commuters and leisure travellers alike. While works have been being carried out we have minimised our impact on service to travellers, only requiring the closure of one staircase and having one visible hoarding up that we are working behind, which has enabled it to be business as usual at one of the busiest stations outside of zone 1 for the duration of the works.